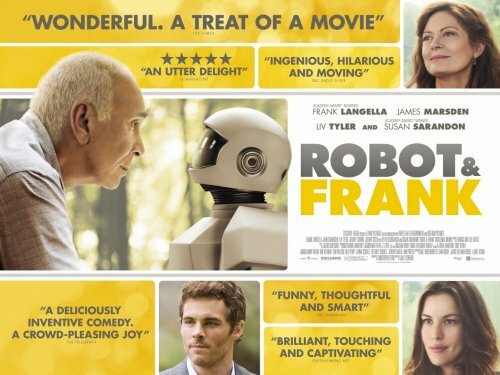 The new poster for the robot heist film, Robot & Frank, has just hit my in-box. It's quite a standard looking poster for an Indie movie. Lots of boxes with delightful quotes about how great the movie is with the cast interspersed around the praise.